One of the consequences of globalization is the introduction of invasive species. Giant hammerhead flatworms, or land planarians, up to 40 cm (over 1 foot) in length, are reported from France and overseas French territories by an international team led by Jean-Lou Justine of ISYEB (Muséum National d'Histoire Naturelle, Paris, France). This is the first study of this invasion, reported in an article to be published in the open-access journal PeerJ. 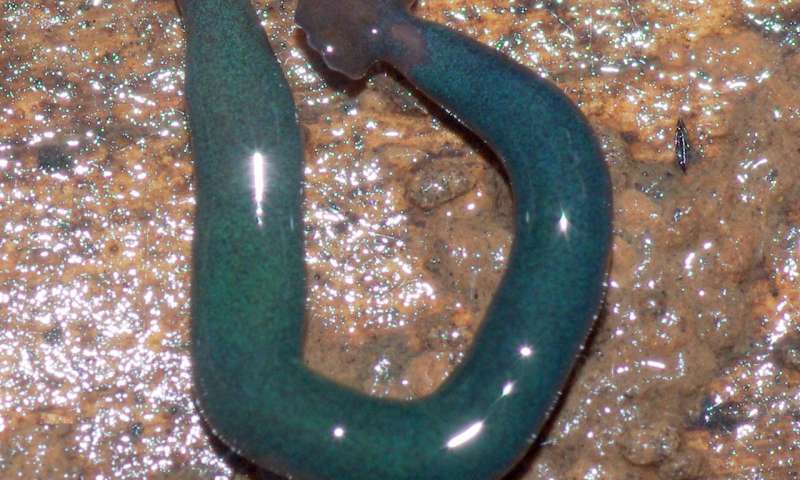 Several invasive flatworms, including the New Guinea flatworm, Platydemus manokwari, have already been reported from France. Most of these species, however, are small animals, less than 5 cm (2 in) in length. The hammerhead flatworms are giants among flatworms, with some species reaching up to 1 m in length. Based on contributions from citizen science, five species of hammerhead flatworms are reported from metropolitan France in Europe and from French overseas territories in the Caribbean, South America, Africa and Oceania. 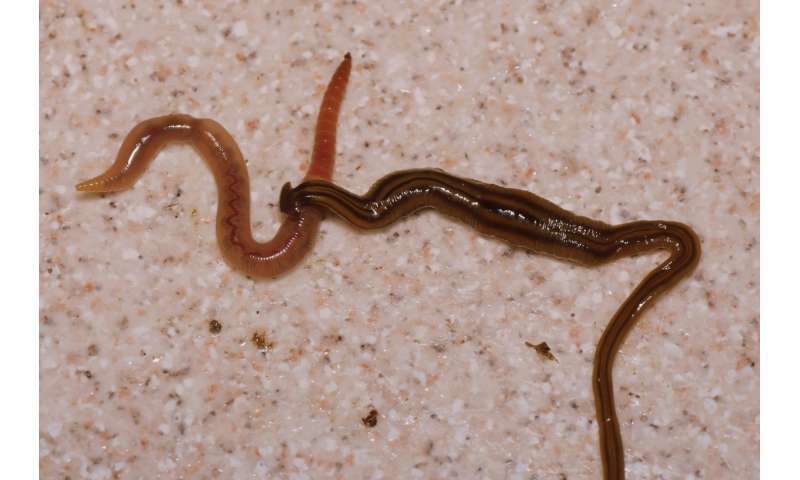 Hammerhead flatworms are predators of soil animals, including earthworms, and thus are a possible threat to the biodiversity of native animals and to soil ecology, although the ecological impact has yet to be studied. Two species reported from France, Bipalium kewense and Diversibipalium multilineatum, are giant species, up to 40 cm in length. One relatively small species, Bipalium vagum, was found in most tropical French territories, including Guadeloupe, Martinique, Saint Barthélemy, French Guyana and La Réunion. One species, Diversibipalium sp. "blue" reported from Mayotte, a French island off the African East Coast, displays an impressive turquoise glitter colour. Observations were mainly based on citizen science, with more than 100 contributions received, including some dating as back as 1999. Molecular studies, based on the Cytochrome Oxidase Type 1 sequences, show that the species show no genetic variation. Bipalium kewense had a single haplotype, found in 5 continents. The species are clonal (genetically identical) and reproduce asexually. The authors were amazed to discover that conspicuous 40-cm long worms could invade a developed European country for more than two decades without any response from scientific authorities.